Parasitic, or cuckoo bees are those that do not forage for food or make nests for themselves, instead they invade the nests and food supplies of other species of bees, particularly Solitary bees, to provide for their parasitic young. Cleptoparasitic (pronounced: clepto-para-sit-ic) bees invade the nests of solitary bees. They lay their eggs in finished, but unsealed cells that the queen bee has made for her own eggs, and then close the chambers off. The young parasitic bees then feed upon the food that was stored in the chamber by the host female for her own offspring. 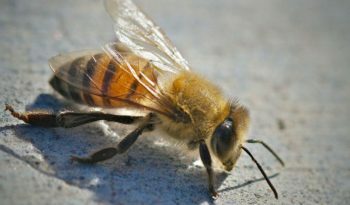 The eggs or young larvae of the host queen bee are killed either by the parasitic female or by her larvae, therefore, claiming the poor solitary queen bees’ nest and cell chambers. 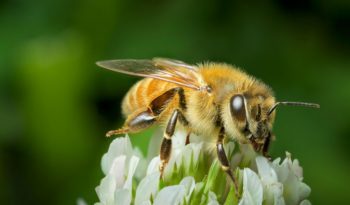 Social parasites are bees that kill the resident queen, lay their own eggs in the hosts cells, and then force the hosts workers to raise the young parasitic bees. 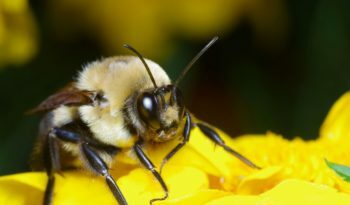 Female parasitic bees lack such special features as pollen baskets or pollen brushes since they do not forage for food for their young. Parasitic bees are basically the ‘thieves’ of the bee world.